If you'd like to create an old, classical or traditional look to your garden, these Gardening With Antiques ideas will definitely intrigue you. The worlds of home gardeners and antique aficionados often overlap, with a good number of folks counting both as their favorite past time. While the two hobbies are often enjoyed by the same people, it’s not as often that they directly intersect. We would love to change that! 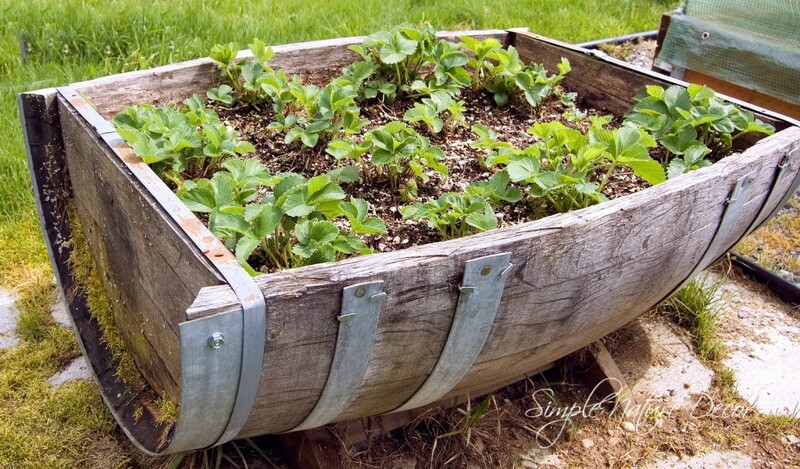 We’ve gathered a sampling of images from around the web that exhibit innovative, fresh, and fun gardening ideas involving antiques in some fashion. The relationship between gardening and antiques can be expressed in an abundance of ways, and the ideas shared here prove it. Whether simply adding antique objects to an existing garden, or integrating the garden itself into an antique, there are no wrong ways to go about combining these complementary passions. We especially love the first idea, pictured above, from Simple Nature Decor. This project involved repurposing an old bicycle into a bespoke container garden itself, utilizing only a couple rustic wood baskets and some elbow grease. We hope you find some of these ideas intriguing and inspiring, as we have. The mother of invention may be necessity, but its close cousin is inspiration! 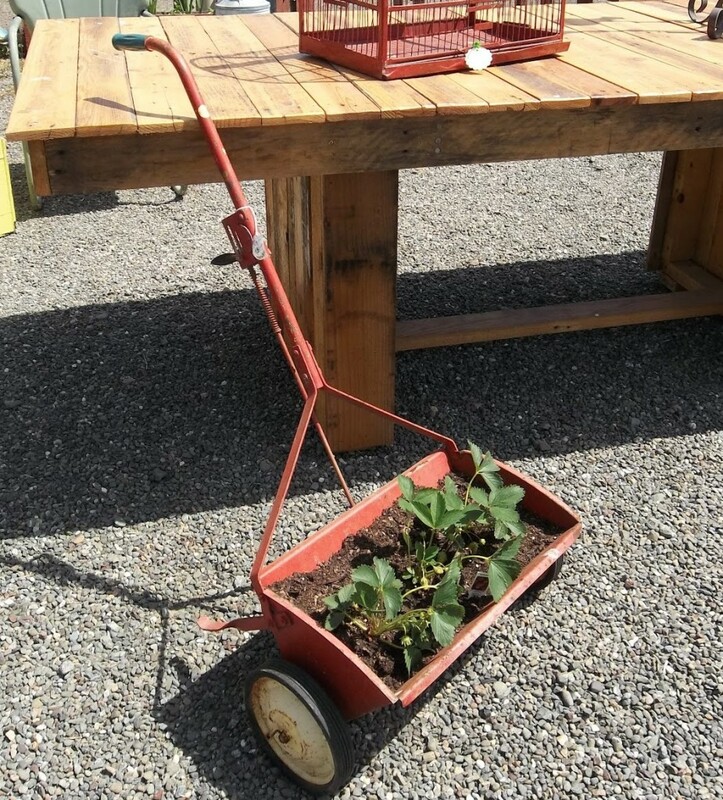 If you’re looking to add a vintage touch to your garden, or recycle some antiques you’ve got lying around, the projects pictured below are sure to get the creative juices flowing. Remember, each image is accompanied by a source link; many of the corresponding websites have even more ideas to share! Here’s a simple and relatively straightforward antique gardening project. 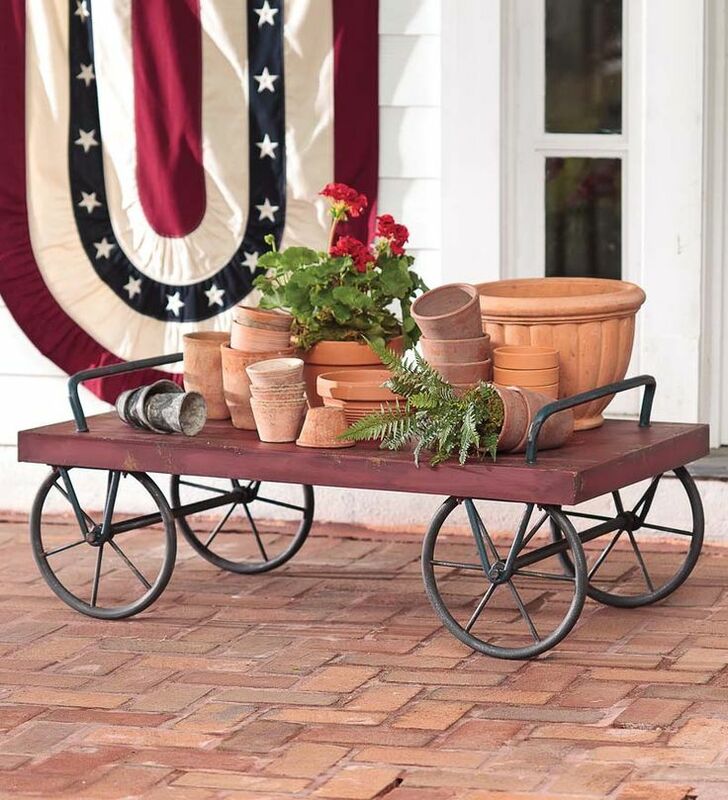 An old wood and metal cart has been repainted and set on a patio, to be used as both transportation and display for container gardens. Using a large exterior wall to display a veritable cornucopia of antiques is an idea directly borrowed from many other projects, including barns and even living rooms. 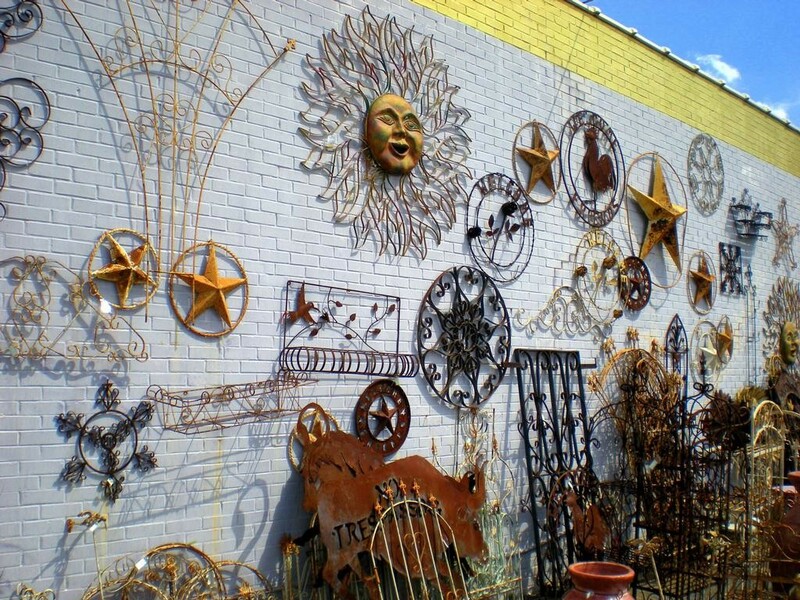 Because of the outdoor setting, the pieces displayed here are mostly metal, often aged and rusted, which blends perfectly with an outdoors garden landscape. 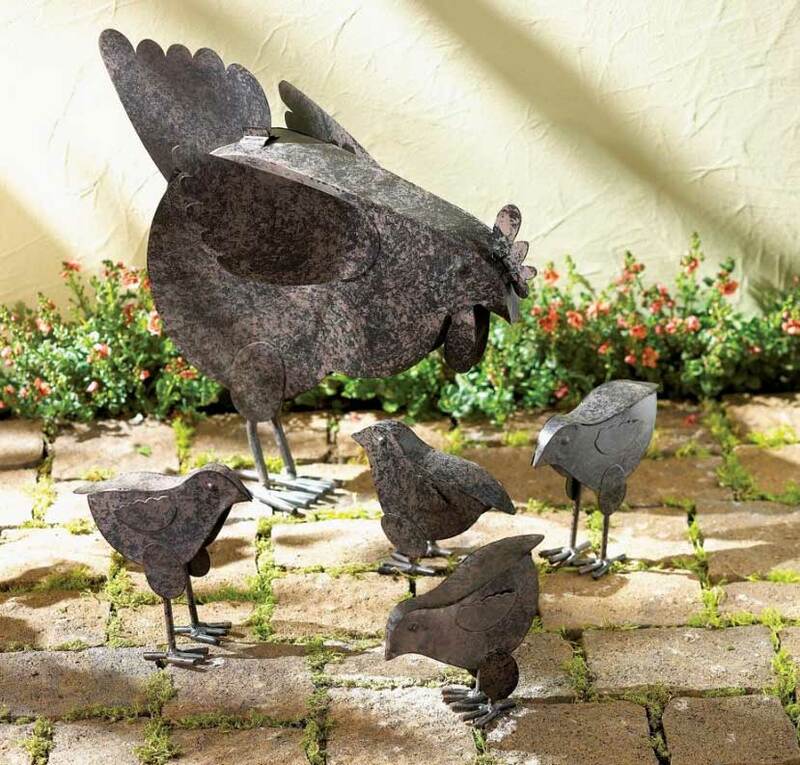 An adorable five-piece chicken sculpture set, which includes four chicks and a mother hen, is sure to delight any garden decoration enthusiast. These garden ornaments are perfect for small grassy areas, flower beds and stone-paved entryways. Each sculpture is composed of rustic-finished metal. 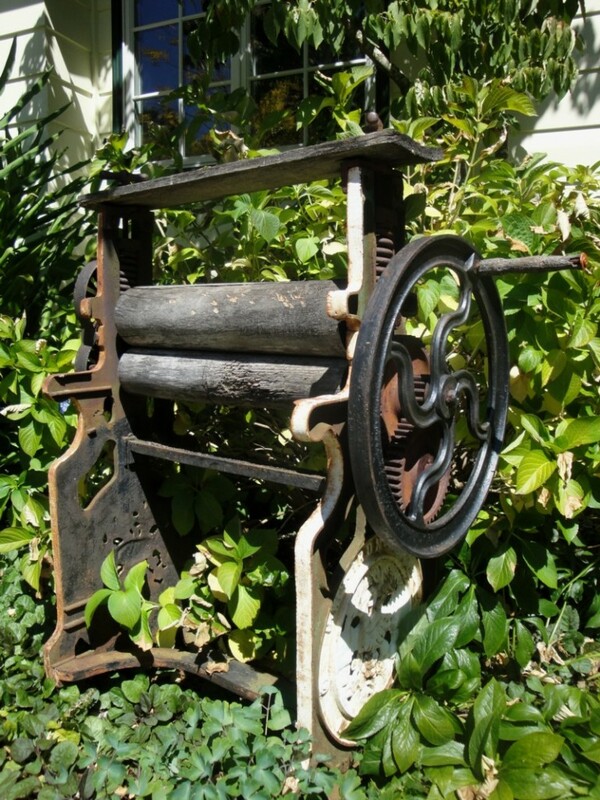 Here’s a classic antique shop find, an old fashioned, hand-cranked laundry press. As you can see, there’s nary a bit of work done to the piece itself; the object was simply placed as-is into a lush garden. With complete, intricate pieces like this, simple strategic placement in the garden makes a statement on its own. 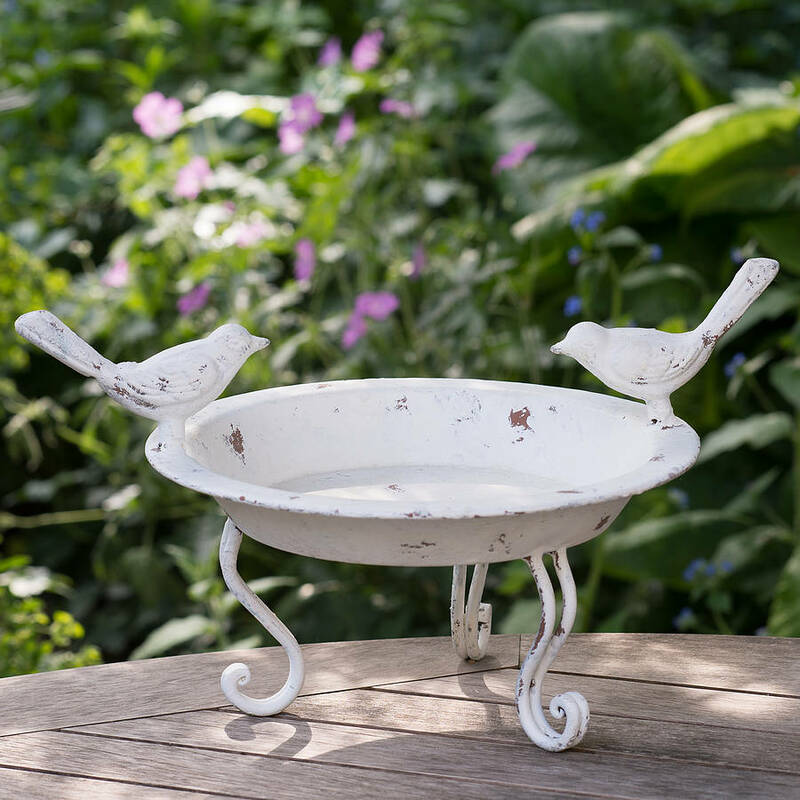 Similar to the previous idea, this image showcases a simple antique bird bath, repainted and set on an outdoor table for display. The use of an antique piece adds contrast to the modern furniture and lush green surroundings. Here’s one of the most unique projects we found. 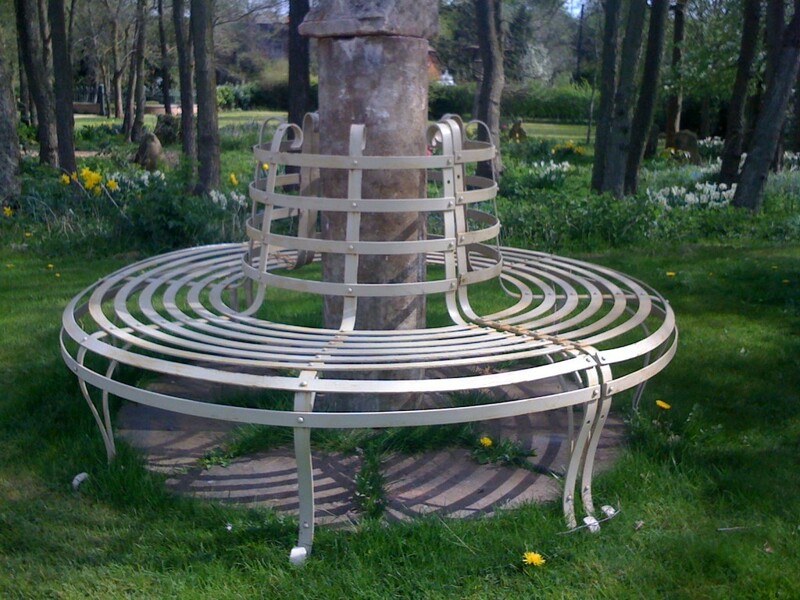 The homeowners took an old circular bench, used in parks and bus stations decades ago, and wrapped it around a post in the yard. It offers a pleasantly prosaic visual and even serves its original function well. This is one of the most elaborate projects we discovered. 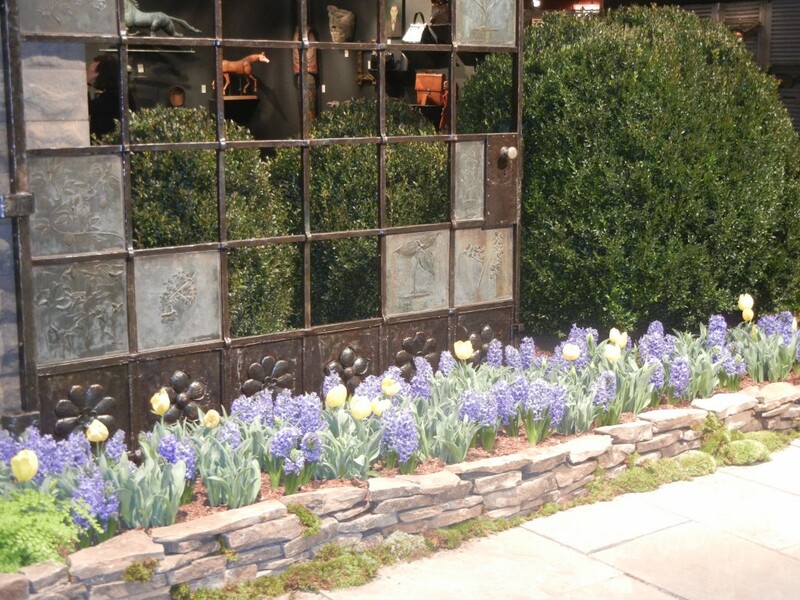 An old sliding metal gate has been repurposed, refreshed, and placed within the garden to make an artsy wall, acting as both backdrop to a row of flowers and a privacy fence. 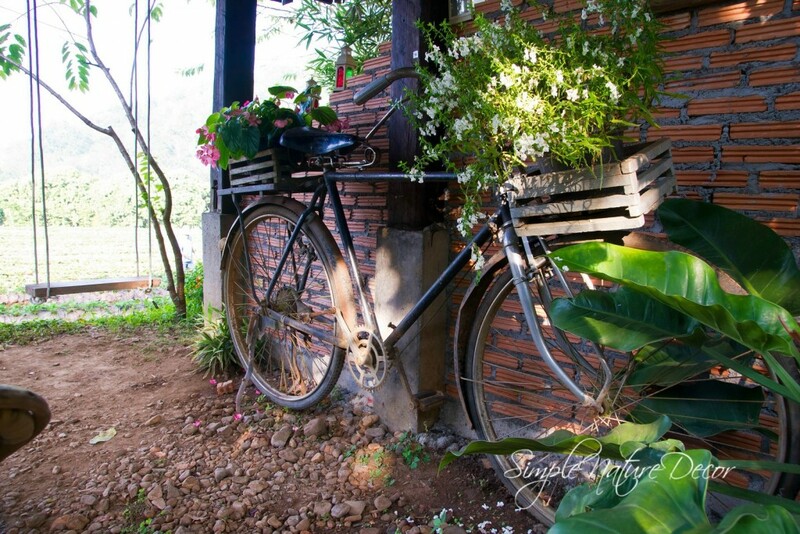 Returning to the idea shared in our header image, this project reused a rusty old fashioned bicycle to novel effect. 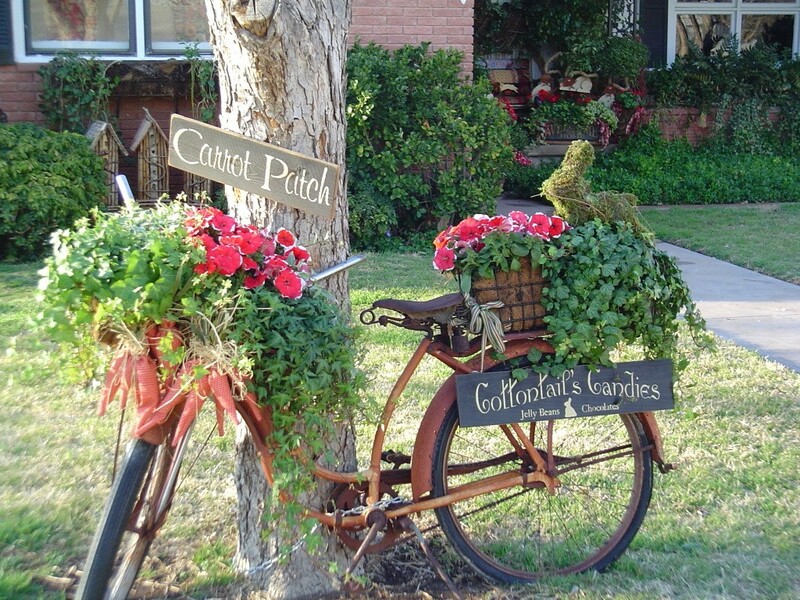 A pair of thick container gardens were placed on the front and rear of the bike, while kitschy signs were hung on the frame. It’s a fantastic way to house flowers and make an artful display from what would otherwise have been junked. Here we see a thick, verdant garden with a series of antique pieces strewn throughout the landscape. 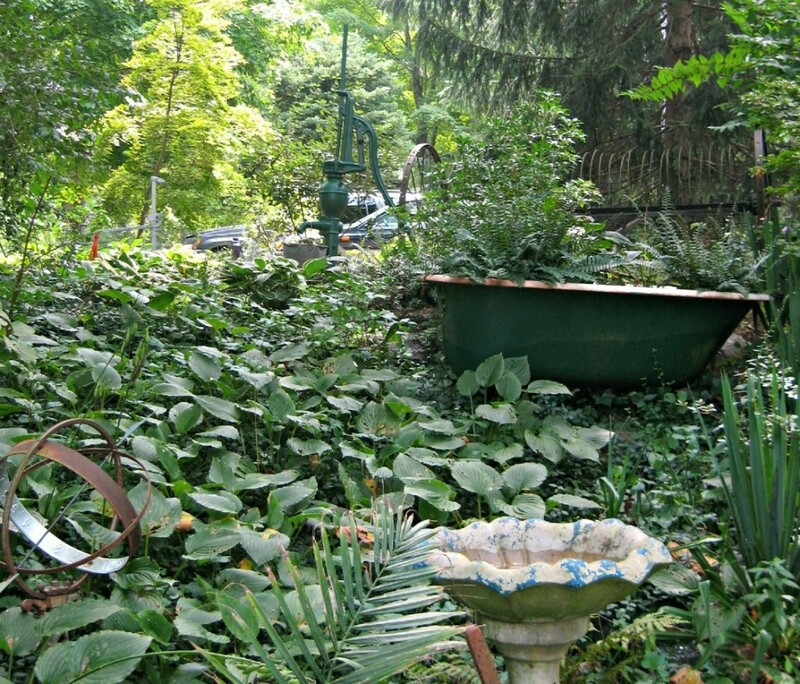 A birdbath in the foreground, an old rusty sun dial at left, an ancient claw foot bathtub in green, and a matching green water pump all share the space with an abundance of leafy goodness. 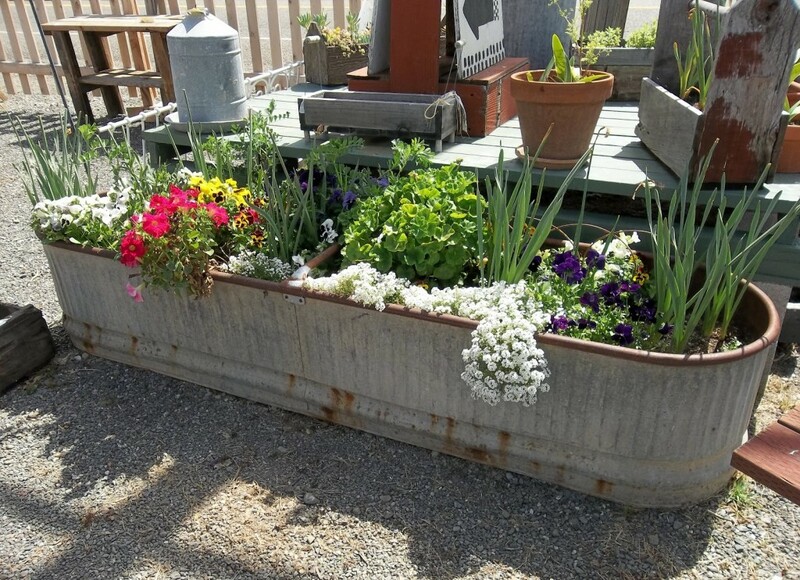 This ancient metal trough has been expertly repurposed into a large container garden, replete with a rainbow’s worth of flowers and greenery. The large size and toughness of the material make for a perfect garden addition, especially because this is one area where rust can only improve a project. 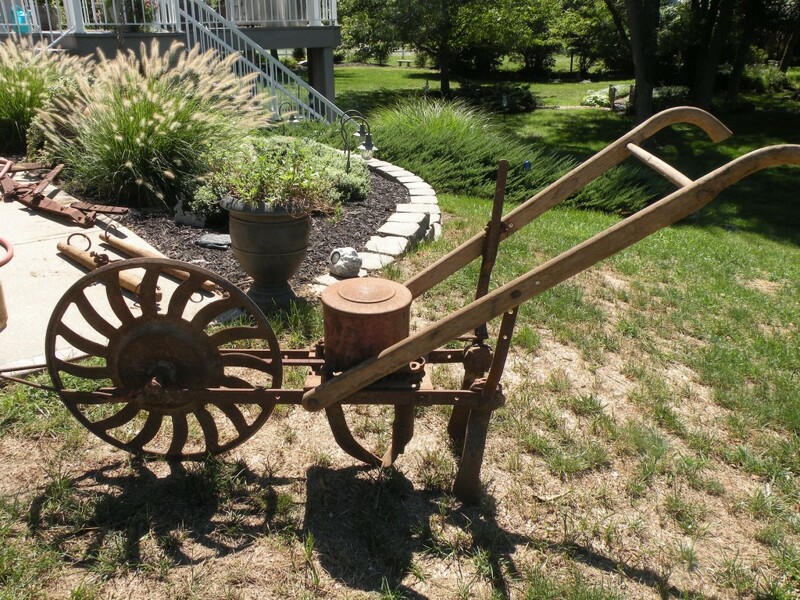 While similar to a few prior projects, this fantastic idea sees a nearly fully restored plow set as a central visual piece on a rolling lawn. The appeal lies in the timeless look of the machine, as a counterpoint to the bright greenery and modern patio nearby. 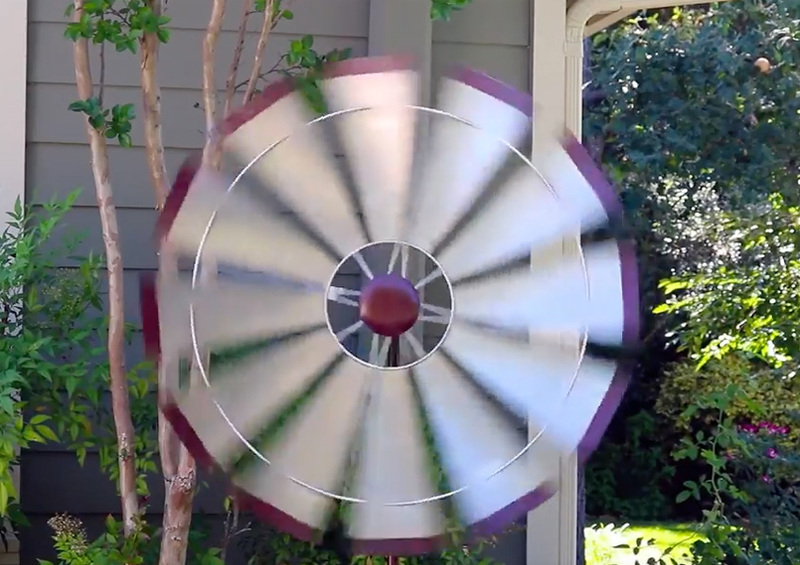 Virtually any old fashioned lawn equipment can work with this treatment. Antique hunters often find pieces like this in neglected corners, gathering dust. 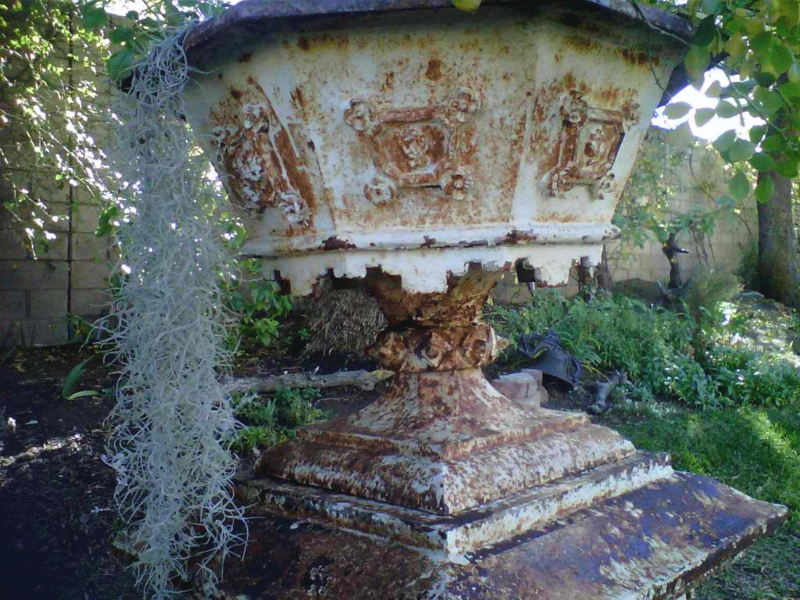 By reusing the sculpture as-is, in a garden, the deteriorated look works to its advantage. This gives the garden the appearance of a long lost ruin, overrun with plant life. While not exactly ancient, this vintage seed distributor has been placed in a new context, with its bucket repurposed as a container garden. The wheels allow for dynamic placement, and the rustic red color adds a splash of contrast virtually anywhere. While we’ve talked about wine barrel planters before, we figured it was worth a mention as a particularly grand example of using antiques in gardening. The rustic looking barrels, already containers, make for perfect garden supplements, offering abundant space and timeless looks. Finally, we reach a garden that’s been expertly laid out with a perfect mixture of plant life and vintage antiques displayed in breathtaking fashion. From abandoned blue bottles, formed into a virtual fountain, to rust covered art pieces, the garden is populated from end to end with vintage beauty. 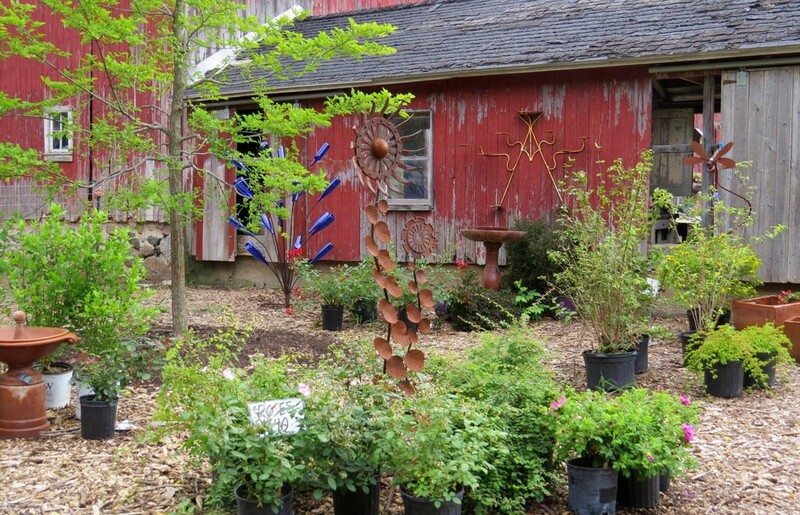 The key here is balance between found objects and the garden itself. 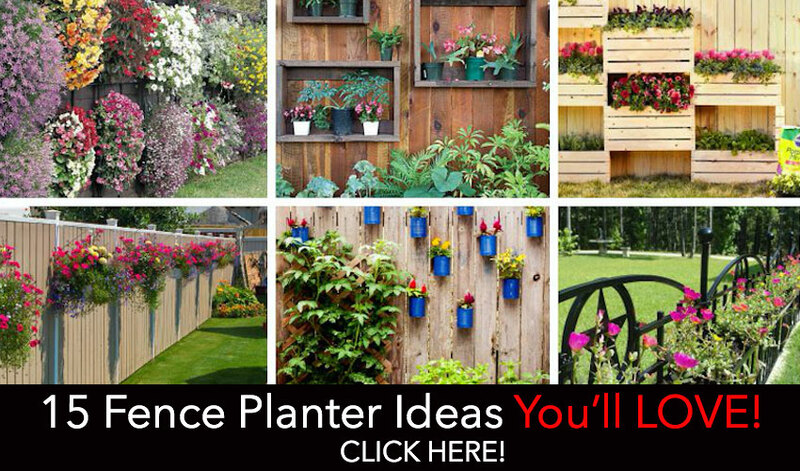 YOU’ll LOVE THESE OTHER GREAT IDEAS!